The 90’s are historically known to be some of Disney’s most successful years. Disney, pioneers in animation, brought classics to the world throughout the middle of the century but lost steam by the time the 1970’s rolled around. Disney’s animation had lost its steam. Recognizing their slow down, Disney pulled themselves together and delivered classic after classic, starting in the late 80’s and throughout the 90’s. Today we consider this to be Disney’s “Renaissance” Here are some are some of Disney’s greatest of that decade, and depending on who you’re asking, some of Disney’s greatest EVER. Although The Little Mermaid was technically released in 1989, it's recognized as the film beginning this new wave for Disney. Perhaps Ariel is your favourite Disney princess, and you already know that she is a mermaid with an obsession with all things human and has a dream to become one after she falls in love with a prince. She sells her voice to grow a pair of legs and in this version, it ends well. I say that because in the real version, created by a very morbid Dane, Hans Christian Anderson, a happy ending is not the case. In our sugar coated Disney edition, it makes for a terrific film, with fantastic underwater visuals and a banging soundtrack written by Alan Menken and Howard Ashman. Pocahontas was Disney’s first and only Native American princess. It tells the story of Poccahontas of the Powhatan tribe who falls in love with a captain of the English settlers who are trying to colonize the land of the tribe. A Romeo and Juliet tale to say the least, this film, released in 1995 was beautifully visual with the setting of the bountiful forests of Virginia. I recall watching this film and having a natural awakening of sorts, becoming immediately enamoured by the outdoors. 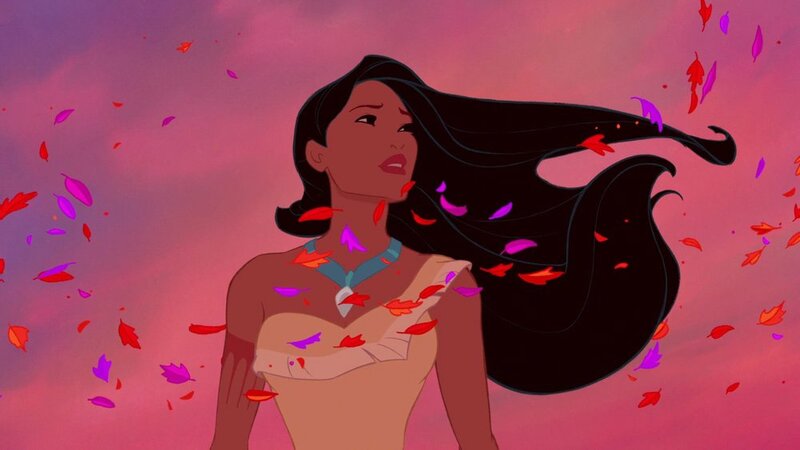 The song, “Colours of the Wind” is truly one of the most memorable songs to have been part of a Disney film’s soundtrack. While this was a nice try for Disney in diversifying their characters and dealing with a serious matter surrounding America’s origin, this film continues to face a lot of controversy. For starters, this film is supposed to be based on the story of a real Native American woman named Pocahontas, however, the Disney rendition is historically inaccurate. The romance between John Smith and Pocahontas never really happened and Pocahontas actually had a pretty tragic life thanks to the English settlers. This film from 1996 is premised on the classic Victor Hugo novel and centres around Quasimodo, the physically deformed bell ringer of the Notre Dame. During the story he constantly deals with insecurities around his appearance but despite of this falls in love with a gypsy who happens to be kind to him and unafraid. The relationship between Esmerelda the gypsy and Quasimodo gives him some confidence as she shows him that despite his appearance, he has a beautiful soul. It’s a beautifully moving story but I remember being incredibly saddened by it as a child. Quasi just had such a tough life and I felt bad for him. For a Disney film, it’s a little bit darker than the others, and despite being a cartoon, it deals with serious subject matter of infanticide, sin, and lust. Topics that are standard Victor Hugo writing material, but not your usual Disney subjects. The following year Disney gave us Hercules, a film based on Greek mythology and focuses on our hero, the son of Zeus. Upon Hades’ meddling, Hercules becomes a mortal as a baby but is somehow still possessive of superhuman strength. Questioning his origins he is visited by his father Zeus and is told he can regain his Greek God status if can prove he is a true hero, which he demonstrates when stopping Hades’ evil plan to takeover Olympia. I only vaguely remember this film but what stands out from my memory is the mesmerizing animated depiction of Greece. 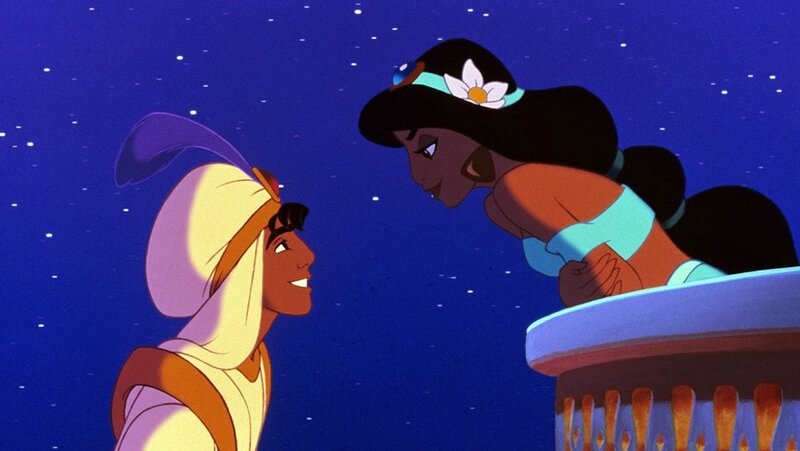 Aladdin is honestly one of the best movies ever. It contains loveable characters with depth, adventure, romance, exoticism, fantasy, and comedy - it’s spectacular. The film, based on the story from the novel One Thousand and One Nights, revolves around mischievous street urchin, Aladdin, who discovers a magic lamp with a genie in it. Throw in an evil villain, some quirky animal characters, and a beautiful Arabian princess, and you’ve got an entrancing film for all ages. 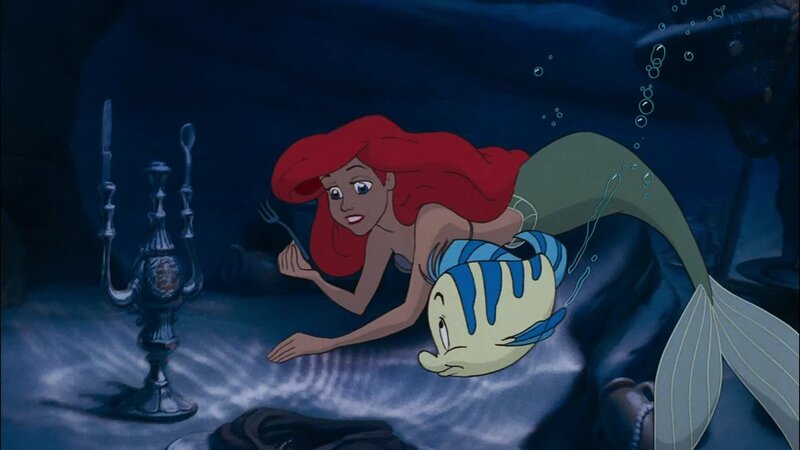 Similarly to the Little Mermaid, the soundtrack was created by Alan Menken and Howard Ashman, in addition to Tim Rice, and the film turned out to be 1992’s highest grossing film. Needless to say, I am very excited for the live-action rendition that’s supposed to come out later this year.